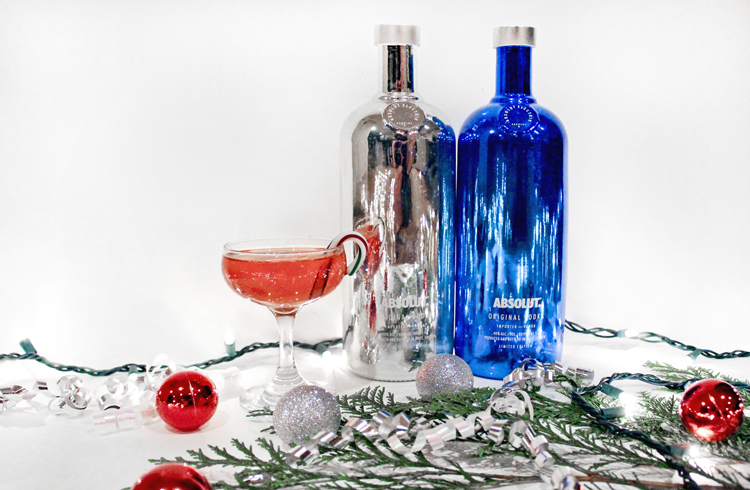 Teaming up with Absolut Electrik to help spice up your holiday party season. Calypso St. Barths dress, DIY floral headband. Shot by Isaac Lacey, still life images shot by me. December is always a crazy month for me, between wrapping up projects for clients, party hopping to different social & work events, and also celebrating my own birthday, which just took place on Monday! 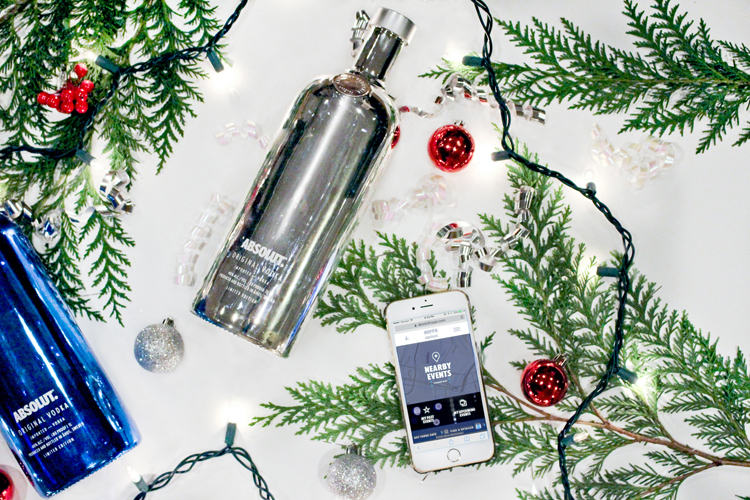 If you’re like me, you’d pretty much do anything to streamline your social calendar and add a little ease to your own party planning, so I decided to team up with Absolut Electrik this season to share a few of my top tips for throwing an effortless & stress-free holiday bash. My top tip? Mix up the Guestlist! Don’t be afraid to cross-pollinate when it comes to your guests. You’d be surprised what kind of magic happens when you bring everyone together: from work associates and BFFs, to your neighbors and family members. Hoppr by Absolut is a great way to mix up the crowd a bit. Just head to their mobile site, login, and you can find and invite guests to your event or even hit up a few parties near you. Because who doesn’t like meeting new people this time of year? Check out a few more of my party hosting tips in the list below, and feel free to leave your own in the comments as well. The more the merrier! Pack a Punch: Customizing a unique drink for your guests is a great way to get everyone in the spirit. Stow away your cocktail shaker and just make a big batch punch for everyone to enjoy, like the elevated one I made here with Absolut (recipe below). 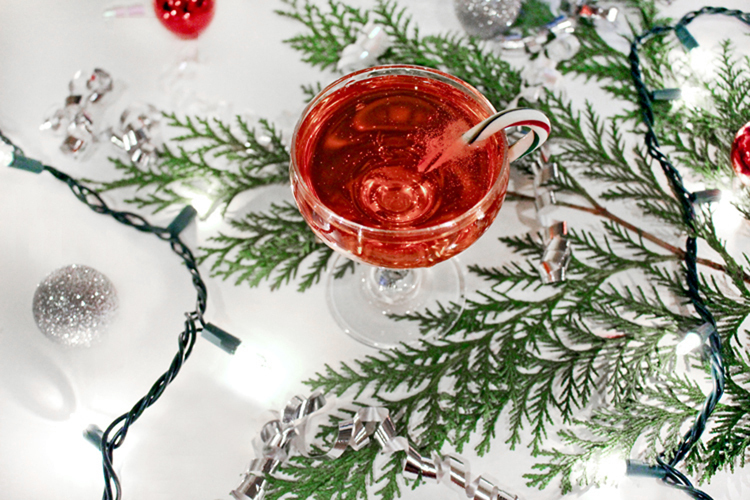 A cute garnish like a mini candy cane goes a long way. Garnish with a mini candy cane. 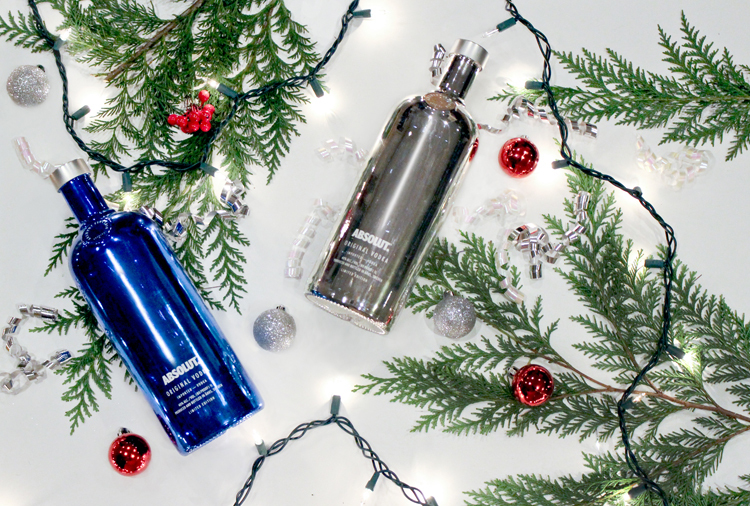 Light it Luxe: It’s a holiday party, not a department store! Dim those overhead lights and rely on ambient lighting, candles or the lights from your Christmas tree (or menorah?) to provide a festive mood. Music Musts: I usually create two playlists for my parties: one that’s more laid-back, just comprised of great songs (don’t forget some oldies or 90s songs everyone can sing along to) and another that’s for later in the night, when you’re ready to kick off that dance party. Check out Spotify to see what’s getting other people in the mood, or keep a Spotify playlist open so people can add a few of their faves to the list. This blog post was created in partnership with Absolut. Remember to drink responsibly this holiday season. Those bottles are a keeper! You look amazing/remind me of Daisy from the Great Gatsby!